we took them out, and fastened them with a stud type of fastening, to make a type of wrap around glasses. Wardens and Messengers.The`Heavy Rescue` A.R.P.used service gas masks. Like the fire service and police. 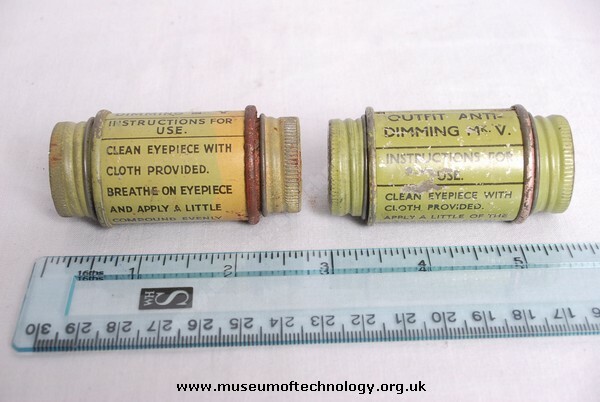 One end of the tin (usually marked with a red rim) contained the compound, the other end, the cloth to spread it.